Prolex™ E. coli O157 identifies Escherichia coli strains associated with Haemorrhagic Colitis and Haemolytic Uraemic Syndrome. Results can be obtained in two minutes from a single colony taken directly from selective agar. This unique reagent has been developed to remove common cross reactions with other “O” and “H” antigens, in particular E. hermanii. 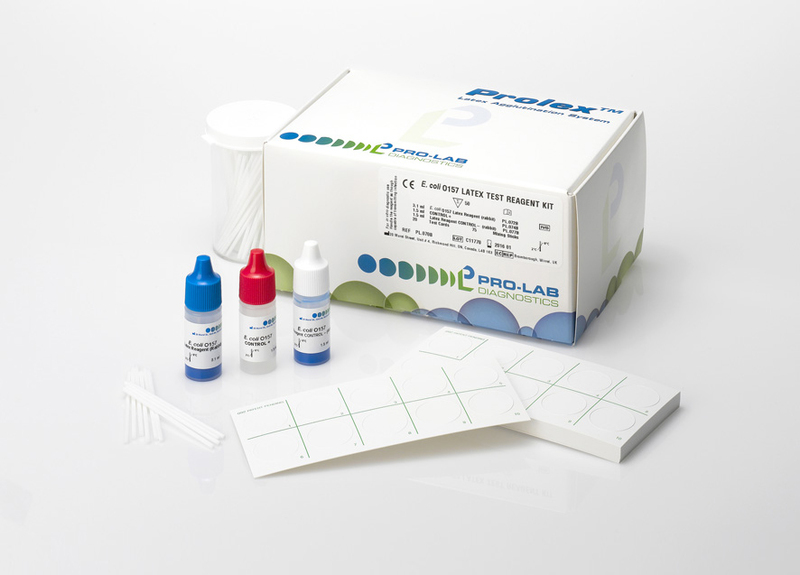 The Prolex™ E. coli Non-O157 Kit provides an easy to use, reliable and affordable way to identify the six most common STEC producing serotypes in North America. E. coli O26, E. coli O45, E. coli O103, E. coli O111, E. coli O121 and E. coli O145. Prolex™ E. coli O91 Latex Reagent provides a rapid method to identify Escherichia coli O91 isolated from cultured specimens.